If you’re going to build a custom bar for your home, but are a little new to building things of this sort, it may be helpful to separate the designing and planning part of the process from the building process. However, sometimes just getting started with a woodworking design is challenging. Designing a custom cabinet bar, or other type of home bar, has to begin somewhere. The approach that works well for me when starting a project is based on a principle made famous by the author Stephen Covey: “Begin with the end in mind” is based on the principle that all things are created twice. There’s a mental or first creation, and a physical or second creation to all things.~ Stephen R. Covey. Let that sink in for a moment. To me, this means that any initial thought or idea for a project, no matter how fleeting, is a creation that becomes part of my personal reality at the moment of conception. This initial creation has the potential to become a part of the reality of the physical world I share with those around me if I choose to take the mental creation on to a more finalized form, which would be through the second creation that leads to the physical representation. This physical representation could be the plans for the project since these would exist in a way that could be experienced by others within the shared realm of physical reality; I could show the plans to someone as a sketch, a printed plan, or initial plans displayed on a computer screen. This represents the two dimensional, or artificial three dimensional, phase of physical creation. OK…I kind of got off topic…back to building your own cabinet bar. Basically, you need an idea for what you want the finished cabinet bar or home bar to look like as well as any add-ons you’ll want – like a wine cooler or perhaps a counter top ice maker, etc. 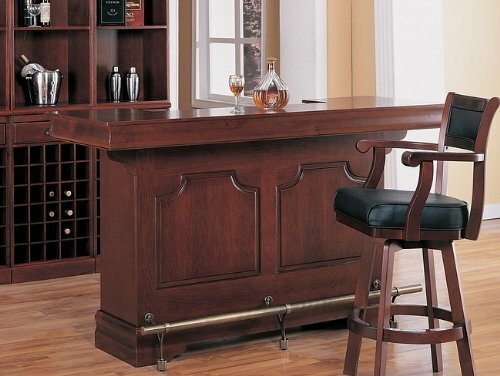 This is the end goal you will have in mind as you plan, design, and build your bar. Do you have an idea? If so, grab some paper and a pencil right now and make a quick sketch to capture your idea and start the process. Maybe you only know what you want the general shape to be, or maybe you have particular shelving or bar top design in mind. Whatever your ideas may be, get them down on paper ASAP. What if you have no clear or structured ideas? In this case, I encourage you to look at various examples, such as on-line pictures the home bars you find appealing. Consider what you like or don’t like about the various designs. By the time you have looked at a dozen or so examples you will start to have at least one idea of what you want incorporated into the design of your own custom cabinet bar, home bar, or home liquor cabinet. Once you have some specific ideas and a general sketch or two (and don’t worry if you can’t draw…the sketch only has to be interpreted by you) you should start to develop your ideas a little more. This might mean you start with the one thing you know you want in the final piece and design the rest of your plan around it. A perfect example would be the bar top design. Do you want the option of a liquor cabinet that converts into a full home bar? If you do, then you’ll need some sort of expandable bar top. 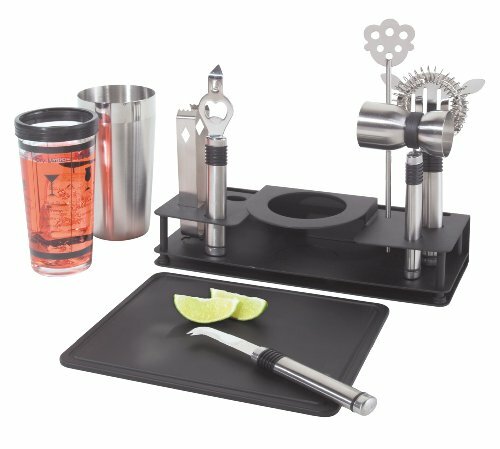 Take a look at a few options available for purchase online or in local stores to help you start designing your own unique bar top. Maybe your bar top folds in some way, or maybe it has a component on a form of sliding mechanism? Now consider how the rest of the cabinet might look to complement the bar top. If you plan on having a thick bar top then you’ll probably want to have a fairly thick looking base to keep the finished look of the cabinet bar balanced. There are many very interesting design concepts, philosophies and theories when it comes to making a piece of furniture that is balanced and pleasing to the human eye, but as a beginner I would encourage you to follow a very simplistic approach; if you look at a piece of furniture and the overall visual quality is pleasing to look at, it is probably fairly well balanced. What do I mean by “balanced”? Simply that the dimensions of the legs, top, doors, trim, or other components don’t look out of place in comparison to the other parts. If you don’t feel like you can be objective of your own plans, or you know someone with a better overall perception of style, you might ask others to give some input on your sketch or plans. Don’t get attached to your initial sketch so you can be more receptive to the input from others. Their ideas might be just the thing you need to make an OK sketch into a brilliant plan. OK, once you have a couple of basic ideas on paper and you feel like the overall appearance of your sketches or drawings are pleasing to you (and maybe pleasing to others as well), you should develop some form of plans you can build from. You need some basic dimensions and measures to help you move forward in the build. There are various personality influences that can come into play at this point. You may be someone that feels comfortable and able to take a sketch and a few basic dimensions into your garage or shop and start creating. However, you may feel more comfortable taking a little more time to create more detailed plans to help you put together a shopping list for materials and set a step-by-step plan. I tend to fall somewhere in the middle depending on the project and there really isn’t a wrong way to approach this. The most important thing is to set yourself up for success by approaching your project in a way that makes you feel comfortable. After all, this should be enjoyable for you, right? Are you familiar with a computer keyboard and mouse? I know, many of you might think this is a silly question since you’re reading this on line, but not everyone uses a computer regularly. If you can use the basic functions of a computer mouse with a scroll wheel that clicks, you can use a free program from Google called Sketch Up that can help you create incredible plans as detailed as you need them to be. You can use the program with the touch pad of a laptop too, but doing so can be frustrating and a mouse makes everything much easier. There are free tutorials online that, with a little quiet time for a few hours, will give you the basic skills to make great looking 3-D plans from your ideas. The single most convenient aspect of the program that makes it so easy to use is the “push/pull” function it relies on. So, imagine you want to draw a 2″ x 4″ board in the program that is 6 feet long. You don’t have to draw every line for every edge of the board. All you have to do is make a rectangle that is 2 inches by 4 inches, then click on it and “pull” it until it is 6 feet long. That’s It! Now you would have a drawing of a board that is 2″ x 4″ and 6 feet long. Nearly all parts of any of your plans for a cabinet bar will be squares of rectangles, so making a detailed set of plans for something like a cabinet bar is super easy in Sketch Up once you know a few simple basics. The free version of the program should be all you need for basic things, but there is a more complete version for purchase. Do you need to use a computer for drawing plans? Of course not. Simple paper and pencil can but just as good, and depending on your skill with making plans in this way, a good hand-drawn set of plans can be better than what someone new to Sketch Up might achieve. If you think the hand drawn method is the way you’ll go, at least for now, do yourself a favor and get a few simple things together in one place; graph paper, a transparent ruler, some mechanical pencils, and a small binder or sturdy folder. If you are making plans by hand or by computer, you still need to approach this by “keeping the end in mind”. At the same time, it would be best to stay open minded because your mental images or rough sketches may look very different once you get more detailed and scaled drawing made. Since you have a basic idea of what you want the final cabinet bar to look like at this point, the next thing you need to start making usable plans are the desirable dimensions. I would encourage you to make notes of the dimensions you find for cabinet bars or related pieces of furniture on the web. Most pieces of a certain design will be similar in their dimensions, with many having a bar top height around 40″ to 42″. Also, it’s a good idea to get a few measurements of the space in which you plan to keep the cabinet bar. This will allow you to take into account potential limits for how wide it might be when extended into the full bar, and may help you determine the desirable height and depth of the cabinet. With this info collected, you can now start to draw plans for a cabinet bar, liquor cabinet, or other form of home bar that will look great and fit well in your home. OK, starting with a sketch or drawing of the design you want to develop, note the dimensions for the outside of the piece. Also, add dimensions to a drawing of the extended or unfolded bar form if you are planning a cabinet bar of some type. Take a look at what you have in front of you and think about ways of having the edges and joints come together. What many beginners will find helpful is to use an internal frame for the cabinet and maybe the cabinet bar doors if they are to have shelves and support the weight of bottles, glassware, and decanters. The frame allows a beginner to establish a solid structure to build onto, and can allow for minor mistakes in measurements and cuts to have less impact on the structural integrity of the final cabinet bar. Cosmetically, small mistakes in panel cuts or gluing can be corrected or improved by using stainable wood fillers or the creative use of decorative trim. However, the frame must be square. All joints need to meet at a 90 degree angle. For a person’s first build, it should be expected that some joints may be off a little, but every attempt should be made to stay within 1 or 2 degrees of the goal. Be sure to take your time and ensure the frame or frames are solid and square…you’ll be glad you did later in the build! The frame will dictate the final form, which is why we start with an idea of what we want the final cabinet bar to look like. By starting with sketches and drawings of the final external shape and size you can work inwards to design a frame that will support the rest of the structure. For example, if you want the cabinet to be 24 inches wide and you plan to use 1/4 inch plywood for the panels of the cabinet, you will need to work inward by subtracting the thickness of the panels that will be on either side of the cabinet from the total width of 24 inches. In this case, you would want to make a frame that is 23.5 inches wide since there will 1/4 inch panels on both side of the cabinet (1/4″ + 1/4″ = 1/2″). 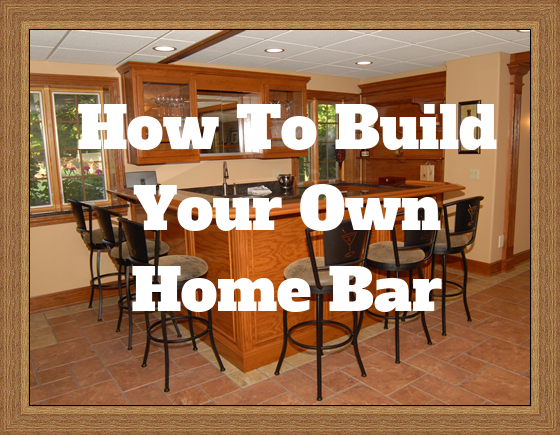 I hope this description of how to start designing and building a home bar has you thinking about what kind of home bar you want and what steps to take to get started in the process of designing and planning. Investing careful thought and time in designing your custom bar will shouldn’t be considered a hindrance to your efforts to build a bar for your home. While you may be eager to start cutting and gluing, having a well thought-out design and plan will only make things better. Remember to consider the final design as an achievement and a product on its own. If you decide to move forward with building your bar based on your design plans, you will start on a new process that will end with you moving your custom home bar into its new home and inviting friends to break it in. Copyright © 2019 Best Home Bar Ever. Powered by WordPress and Themelia.